Here are a couple suggestions after Week 13 of the 2018 fantasy football season. You’re welcome. Doug Martin hasn’t been the only story in the backfield. 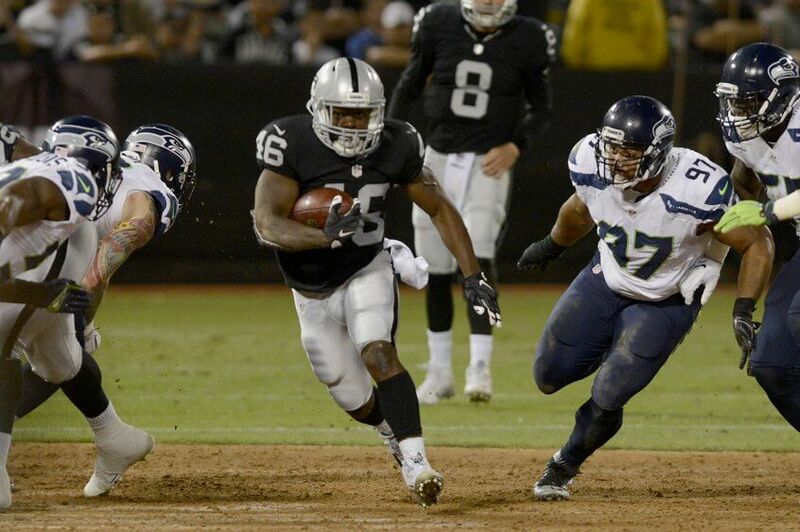 Jalen Richard piled up 95 rush yards on just 6 carries, though losing a fumble, adding 3 receptions for 31 yards. He’s clearly the preferred pass catching option out of the backfield, and the Raiders tend to trail a lot. Perhaps he ends up splitting snaps with Martin 50/50 which should be enough for him to be effective in 14-team PPR leagues and deeper. Everyone rushed to grab Spencer Ware when Kareem Hunt was released by the Chiefs, which was the right move at the time. 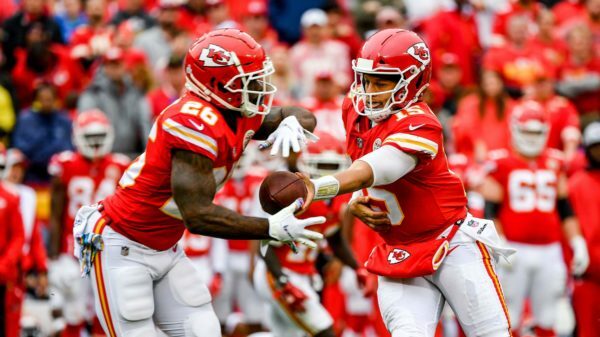 After Week 13, we saw Hunt get the majority of the backfield touches with 15, but Damien Williams had a healthy 7 touch share, rushing 5 times for 38 yards and catching both targets for 7 yards. We don’t know how the Chiefs will employ the two backs moving forward so Williams is worth a speculative stash in all 12-team leagues or deeper, and definitely for those who snagged Ware in all leagues. 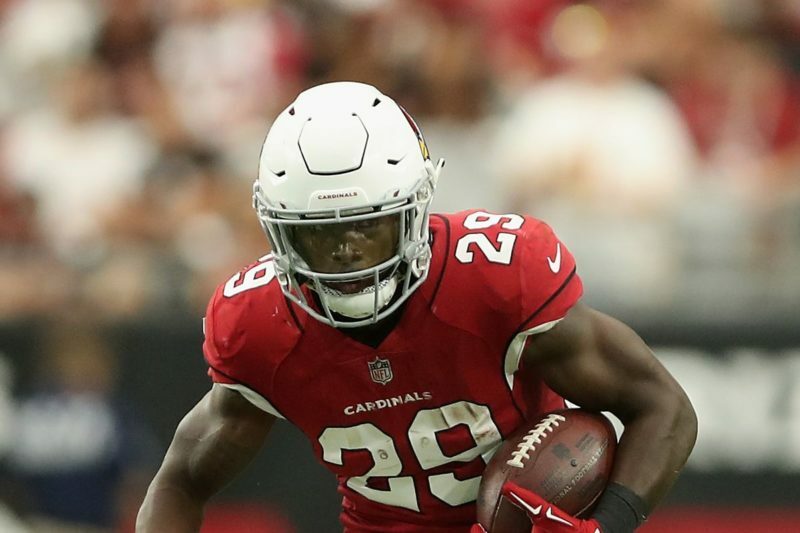 David Johnson is clearly the guy in the backfield for the Cardinals, but the Cardinals aren’t going anywhere and have been taking a solid look at their 4th round rookie, Chase Edmonds. Edmonds only got 5 carries, but he made the most of them with 53 yards and 2 TDs while also catching both of his targets for 13 yards. Johnson still got 4 times more carries, but it wouldn’t be surprising to see Edmonds get more opportunity going forward. He’s worth stashing in all 14-team or deeper leagues in case his opportunity becomes significant, and is worth picking up if you’re a David Johnson owner in all leagues. Poor Greg Olsen. He’s injured yet again with another foot injury, and this one looks to be for the rest of the season. In stepped 4th round rookie Ian Thomas catching all 5 of his targets for 46 yards. 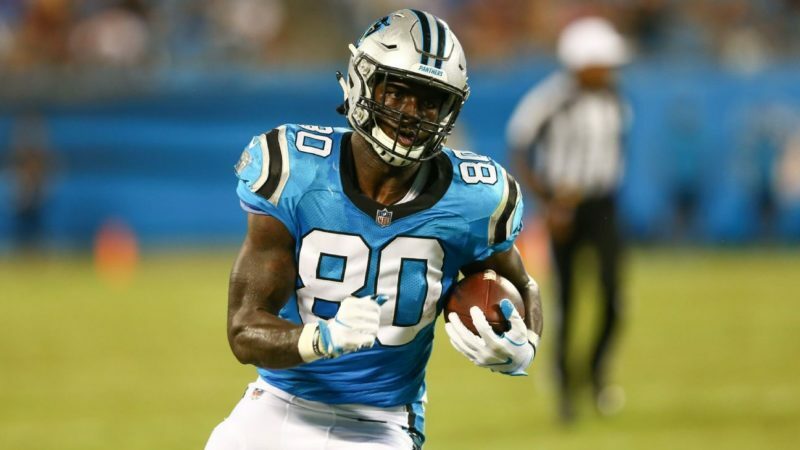 He put up goose eggs in 6 of his last 7 games, and he wasn’t necessary lighting up the world prior to Olsen returning from his first foot injury, but he’s shown decent connection with Cam Newton and should be the primary TE in Carolina for the rest of the year. If you’re hurtin’ for a TE in 14-team leagues, you might want to take a look at Thomas. With San Francisco 49ers RB Matt Breida ruled out in Week 14 with an ankle injury, Jeff Wilson Jr. (2% Owned) is now an interesting pickup as a streamer if you’re sucking wind at the RB position in 14-team leagues or deeper. When Breida had a set back in Week 13, Wilson went on to rush 15 times for 61 yards and caught in 8 of 9 targets for 73 yards. With James Conner potentially being diagnosed with a high ankle sprain and out for at least Week 14, Jaylen Samuels (13% Owned) is now the most important pickup this week. And if you have stash space, grabbing Steven Ridley (1% Owned) for your bench also isn’t a bad idea. Now worthy in 12-team leagues with Alex Collins going to IR. Godwin’s target share is on the rise with Jameis Winston under center, as he managed to pile up 5 receptions for 101 yards and TD. Desean Jackson being out probably helped, but he’s showing some flash and is now worth a pickup 14-team leagues or deeper. Jones has been up and down all year, and mostly down, but with Josh Allen fully healthy and starting to get more comfortable behind center, his upside flashed with a 4 reception, 67 yard and 2 TD performance in Week 13. His upside alone warrant me moving him up to 14-team leagues or deeper. Like the last two guys, Pettis showed off his upside in Week 13 with Goodwin and Garcon out with 5 receptions for a crazy 129 yards and 2 TDs. That’s back-to-back breakout performances with Mullens under center, so I’m elevating him to 14-team leagues and deeper, and don’t even mind you taking a stab at him in 12-team leagues. No UPDATES from Monday Night Football!